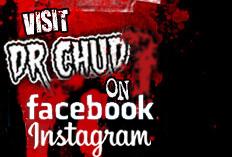 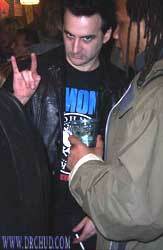 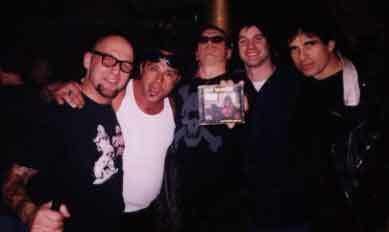 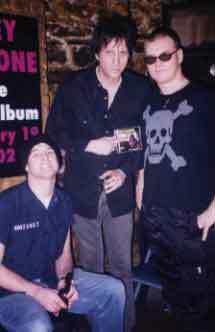 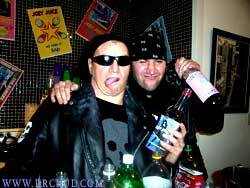 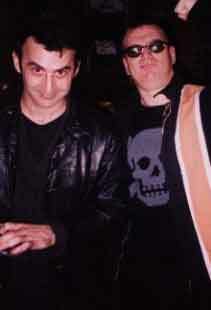 (L) Michale, Joey's Brother Mickey Leigh, Dr. Chud and Joey's new CD. 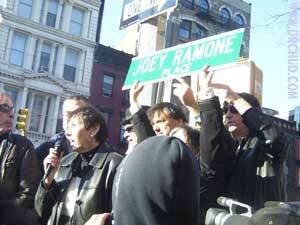 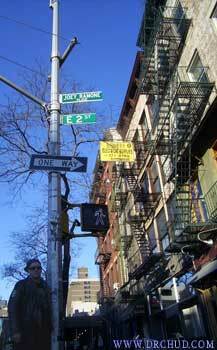 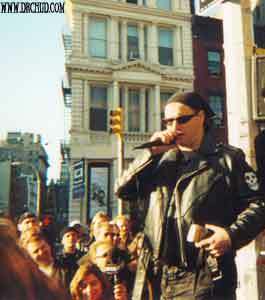 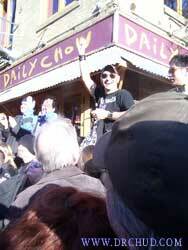 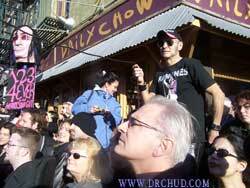 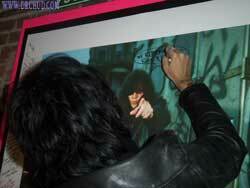 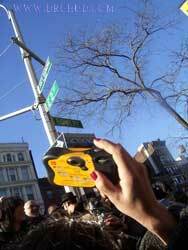 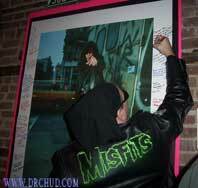 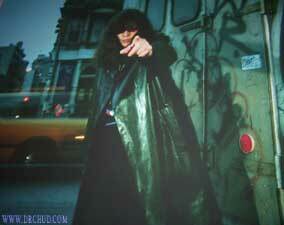 The fans gathered on the corner of Bowery st. and 2nd st. for the unveiling of JOEY RAMONE PLACE. 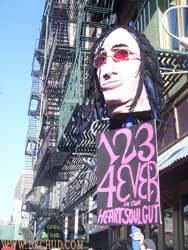 A Ramones T-shirt covers the sign. 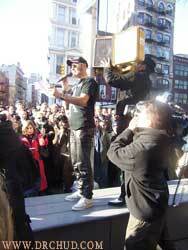 Arturo Vega speaks about joey. 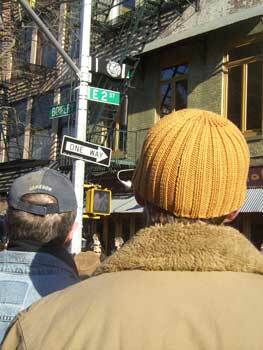 for the right time to pull the string that's attached to the t-shirt!